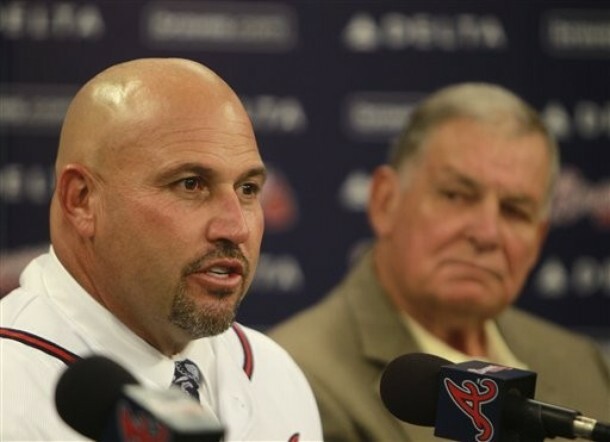 As widely rumored, Fredi Gonzalez has been hired to manage the Atlanta Braves, following the retirement of the beloved Bobby Cox. Cox held a farewell news conference at Turner Field, reminiscing about a career that left him as the fourth winningest manager in baseball history and a likely Hall of Famer. As soon as he was done, the Braves introduced Gonzalez as their new manager, with Cox as his side. “This is perfect for us on so many levels,” general manager Frank Wren said. Gonzalez served as the Braves’ third-base coach from 2003-06. He then took over as Florida’s manager, a post he held for 3½ years. He had a record of 276-279 with the Marlins, one of baseball’s lowest-spending teams. That became a moot point when Gonzalez was fired by the Marlins on June 23, a month after he benched star shortstop Hanley Ramirez for a lack of hustle — a move that many believed angered owner Jeffrey Loria. Gonzalez said he’s not worried about following in Cox’s large footsteps. The Braves’ manager since 1990, he led the team to an unprecedented 14 straight division titles and the 1995 World Series championship. After missing the playoffs the last four years, Atlanta returned as a wild card this season. Cox’s last hurrah ended with a four-game loss to the Giants in which every contest was decided by one run. Gonzalez said he’ll do a few things differently than Cox. Perhaps the most noticeable change will be having the players stretch on the field before batting practice, something his predecessor never asked the Braves to do. Also, the Braves shook up Cox’s coaching staff just a bit, firing first-base coach Glenn Hubbard and bench coach Chino Cadahia. Carlos Tosca, who was with Gonzalez in Florida, will take over the bench coach duties and hitting coach Terry Pendleton will shift over to Hubbard’s post. The Braves plan to hire a new hitting coach after struggling at the plate this season. As adamant as I’ve been that my Dallas Cowboys should never have hired Wade Phillips, this struck me as the obvious move as soon as I heard Gonzalez’ name mentioned. He’s got a working relationship with the organization and a personality as close to Cox’ as you’re likely to find. Indeed, the Ramirez benching reminds of me Cox stopping a game to pull a young Andruw Jones out of a game for failing to hustle in the outfield. That worked out pretty well. I haven’t followed the Braves as closely as I used to in recent years, partly because baseball’s new rules don’t allow TBS to show every game, ruining the continuity of the season for those of us not in the viewing area, and mostly because family obligations make it tough to justify spending the time. But, while the team has fallen off a bit from the glory days of 15 straight division titles, there’s still a Braves Way of doing things. And it looks like they’ve decided to continue it. AJC’s Mark Bradley disagrees, figuring the Braves should have at least interviewed some assistants from clubs that have been hot lately. And maybe get more into SABREmetrics. But that only makes sense if you’re making a change at GM. The manager has to manage people first. He’s right that the Braves haven’t made it to a World Series in a long time. But that’s a function of having fallen to the middle of the pack in spending for a number of years. And, frankly, getting a little long in the tooth. The team has a lot of young talent again and appears to be back in contention. He made his Major League debut with the Philadelphia Phillies where the recently deceased Stan Benjamin was also a player. 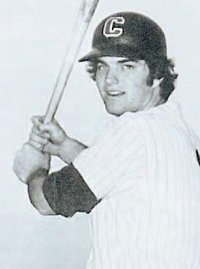 Later on Bragan would manage three franchises, and be the first skipper of the Atlanta Braves after the team moved from Milwaukee. RIP. FORT WORTH, Texas — Bobby Bragan, who earned the nickname “Mr. Baseball” and was dedicated to seeing baseball blossom in Fort Worth, died at his Fort Worth home on Thursday night. He was 92. Bragan, a native of Birmingham, Ala., arrived in Fort Worth in 1948 as a player and manager after parts of seven seasons in the majors, ending up with the Brooklyn Dodgers. He was a backup catcher for the Dodgers before spending two years in the military. He returned for the 1947 season. The Dodgers went on to lose the World Series that year to the New York Yankees, and Bragan had a pinch-hit double in his only World Series plate appearance. The next season he was in Fort Worth helping the Cats become a winner. He stayed through the 1952 season and his teams won regular season titles in 1948 and 1949, never finishing below .500 during his tenure. Bragan went on to manage in the majors for Pittsburgh (1956-57), Cleveland (1958), Milwaukee (1963-65) and Atlanta (1966). 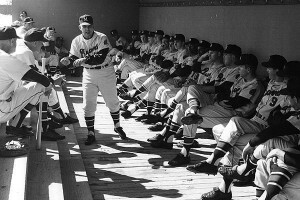 Bragan was the first manager of the Braves after they moved from Milwaukee to Atlanta. He managed Hall of Famers Hank Aaron, Eddie Mathews, Bill Mazeroski, Roberto Clemente, Bob Lemon and Warren Spahn, compiling a 443-478 career record. Bragan also was a major league coach for the Los Angeles Dodgers and Houston Colt .45s. His minor league managerial stops also included the Hollywood Stars of the Pacific Coast League. The Texas Rangers have traded veteran starting pitcher Kevin Millwood and $3 million to the Baltimore Orioles for reliever Chris Ray and a player to be named later, the club announced Wednesday. Millwood, who turns 35 later this month, earned that vested option after pitching more than 180 innings in 2009. He was 13-10 with a 3.67 ERA in 198 2/3 innings pitched. He did have lower back and gluteus muscle soreness in September but returned to finish the season. Ray was a former closer for the Orioles before surgery to repair ligament damage in his right elbow set him back. He was 0-4 with a 7.27 ERA in 46 appearances in 2009. Ray, 27, has 49 career saves for the Orioles. Ray’s best season was 2006, when he sported a 2.73 ERA and had 33 saves. Texas made this trade strictly for financial reasons. Acquiring Ray in light of recent health and performance. The worth of Millwood to the Orioles, who will be his fifth MLB team, isn’t likely to be a whole lot more in light of Millwood’s age and lack of durability. This could end up as a nothing for nothing deal. The Atlanta Braves have agreed on a one-year contract with veteran left-handed reliever Billy Wagner. The deal will pay Wagner $7 million in 2010 and includes a $6.5 million club option for 2011, as well as a $250,000 buyout. The option would become guaranteed if Wagner finishes 50 games next season. The Boston Red Sox offered salary arbitration to Wagner, so they’re entitled to draft-pick compensation when the deal with Atlanta becomes official. Wagner, 38, ranks sixth on baseball’s career list with 385 saves, second among left-handers behind John Franco (424). He posted a 1.72 ERA and struck out 26 batters in 15 2/3 innings with the Mets and Red Sox last season after returning from Tommy John surgery. The Wagner signing looks like a reasonable if pricey gamble to me. Based on this 2009 stats, I think Wagner can still help a team. Florida Marlins pitcher Ricky Nolasco struck out nine consecutive batters against the Atlanta Braves on Wednesday night, one short of the major league record. The streak ended with a leadoff double by Adam LaRoche in the sixth inning, and Nolasco finished with a club-record 16 strikeouts. After throwing more than 120 pitches, he was lifted by manager Fredi Gonzalez with two outs in the eighth. The Marlins were leading 5-2. The big league record for consecutive strikeouts in a game is 10 by Hall of Famer Tom Seaver for the New York Mets on April 22, 1970, against San Diego. Seaver struck out 19 in that game at Shea Stadium, including his final 10 batters in a 2-1 victory. The Mets were my favorite team while I was growing up on Long Island. I watched that 1970 game on television. The 19th strikeout was a outfielder named Al Ferrara. Another setback for the veteran lefty has he tries to re-establish himself in the major leagues. Houston Astros left-hander Mike Hampton has a partially torn rotator cuff and hopes to pitch again this season. Hampton (7-10, 5.30 ERA) went on the 15-day disabled list on Tuesday. He left his last start on Aug. 13 with shoulder soreness. An MRI taken Wednesday revealed the extent of the injury, the team announced. The Astros said Hampton will not have surgery to repair the injury. The 36-year-old has started 21 games this season, his most since 2004. He missed the 2006 and 2007 seasons after separate elbow surgeries. I always thought this type of injury required surgery. If Hampton is operated on at some future date, I think his playing career will be at an end. He was a good pitcher but his career has been downhill ever since his signing with Colorado before the 2001 season. John Smoltz agreed to a deal with the St. Louis Cardinals on Wednesday, giving the 42-year-old former ace a chance to rejuvenate his career in the middle of a pennant race. The Cardinals hope Smoltz either can fill a void as the fifth starter or provide right-handed relief in the bullpen. The Cardinals are six games up in the NL Central, so they can spare a game too in the standings. That said, I don’t understand this move. Why put yourselves at risk with a pitcher who looks finished career wise? The Rays had interest in adding veteran Russ Springer to their bullpen anyway. After going through two extra-inning games in four days, they believed it was even more important to make a move. The 40-year-old right-hander was claimed on waivers from Oakland, with the Rays assuming the nearly $1 million remaining on his $3.3 million contract. Springer was 0-4 with a 4.10 ERA in 48 games with Oakland but had a 1.61 ERA over 25 games since early June. The addition of Springer required Tampa to make another personnel move. The Rays’ decision to designate IF Joe Dillon for assignment to make room for Springer wasn’t cut-and-dried. Ultimately, the Rays decided to go with eight relievers and three bench players in large part because they had played two extra-inning games this week. Though Dillon rarely got off the bench, Maddon said he didn’t like having to cut him loose. In addition to being a fan of Dillon’s approach to the game, Maddon will have to be especially creative with the way he uses his bench. That’s an understatement. Only three bench players severely limits a manager’s options. One of those backups has to be a catcher, the most likely player to get injured in any given game. Managers are a cautious lot, and will be cautious in using their only backup catcher. That limits a team’s strategy moves with only three bench players even more. Springer, like the recently traded David Weathers, has been all over the major leagues for fifteen plus years. He is a decent reliever, but for the reasons I already stated, I don’t understand why Tampa needed this guy.